By now I’m sure you know what a fan I am of good, gentle, chemical exfoliation, but sometimes, you just can’t beat a good scrub. Neal’s Yard Remedies Men Revitalising Face Scrub is one of the best I’ve come across good few months; it’s pretty powerful. Now, you may also know that I’m very ‘anti’ products that are designed ‘For Men’ because 9/10 they’re not very good, made successful only through expensive marketing. There’s one range from a big mass-market player coming to mind as I type this; not good. 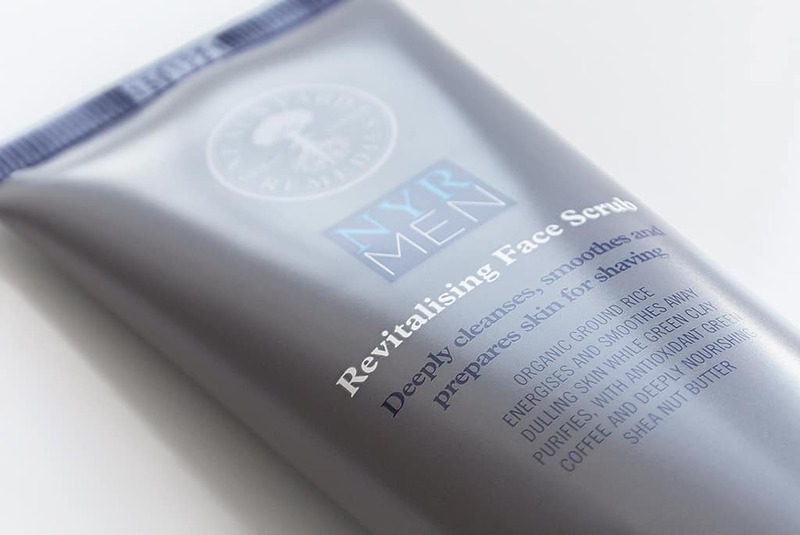 However, Neal’s Yard have gone a long way to adjust this perception as their NYR MEN collection is absolutely beautiful, effective and natural. 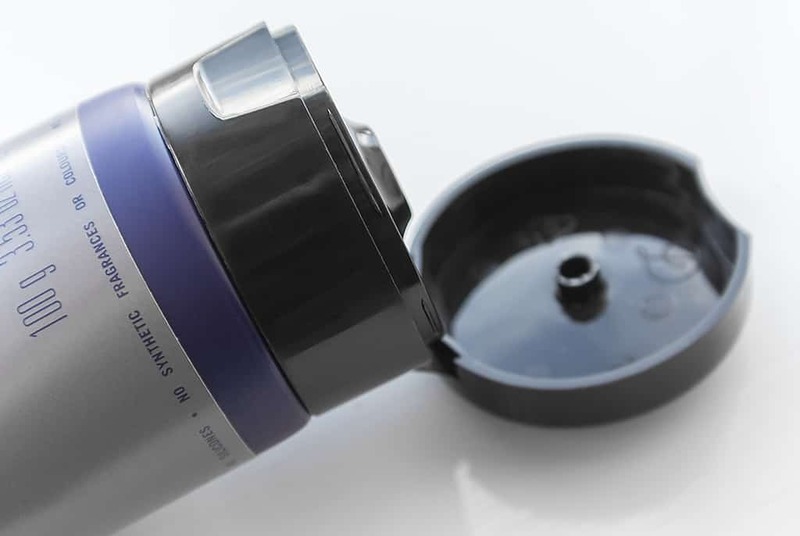 The Neal’s Yard Remedies Men Revitalising Face Scrub, designed for all skin types (I’m not going to argue with that to be honest) contains big, whopping grains, teeny-tiny grains and everything in-between all made of ground rice. It’s housed in a gentle but firm, cream base that sticks excellently to damp skin and doesn’t, as I often describe it, “slime-off”. Simply massage onto wet skin before shaving and rinse away; so quick and easy, providing for a very smooth shave. Try to use it at least every 2/3 days to really see a difference in complexion and skin radiance. You’ll also notice a reduction in both blackheads and ingrown hairs! With coconut oil, rosehip oil, green clay, shea, green coffee, grapefruit, basil, coriander, bay leaf, galbanum, English lavender, pine balsam, eucalyptus, sunfolower seed oil and aloe vera; it’s an absolute powerhouse of natural goodness. What percentage organic is it I hear you cry? No? Well I’ll tell you anyway – a whopping 82%. If you like the sound of Neal’s Yard Remedies Men Revitalising Face Scrub, you can find it here for £15. One tube seems to be lasting me an eternity as you only need the smallest amount each time. Check it out! This article first appeared on MANFACE written by Thom Watson. It was published on Tuesday 25th June 2013 and was last updated on Monday 3rd April 2017 at 3:35pm. It's categorised under Acne, spots & blemishes, Combination Skin, Dry / Dehydrated Skin, Enlarged / Blocked Pores, Exfoliate, Neal's Yard Remedies, Oily Skin, Razor Burn / Shave Rash, Sensitive Skin where you'll find more related content. This looks promising…Thom, any reccomendations for scrubs suitable for oily skin. I have oily, slightly sensitive skin with visible pores on my nose. I’ve just bought the bodyshop seaweed scrub but I don’t get on with it as it’s gel based and these never seem to suit me. I prefer creamier scrubs with a thicker lather not the light airy lather of gel cleansers. I know you like the exfoliating pads and lotions but I just can’t see myself using these. I want something that deep cleanses as well as exfoliates and my budget is max £20. I want it all! Easy. Clinique Skin Supplies For Men Facial Scrub. That will tick all of our combined boxes! Good luck. Wow sounds amazing and its the ingredients which grab me. I’ve never tried any of their products and I don’t know why. I have a store near by but I’ve never stepped in (maybe cos I never really walk by). Any other recommendations from NYR?